It isn't the obvious choice for the John Cooper Works treatment but the result might just surprise you. 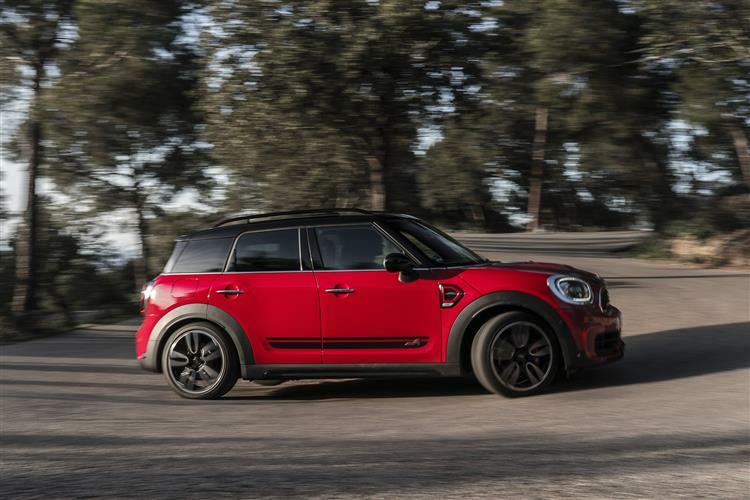 Jonathan Crouch takes a look at a rather rapid MINI Countryman. There is a certain logic in deciding that if you're going to buy a big MINI, then it ought to have a correspondingly big punching engine under its bonnet. 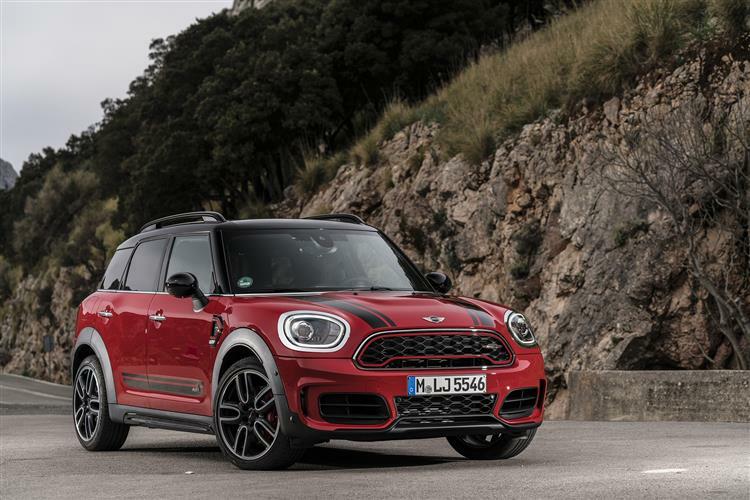 The MINI John Cooper Works Countryman packs a 231bhp haymaker, skittling it to 62mph in just 6.5 seconds, helped by that all-wheel drive chassis. It's quite a package. Indulge me here. You might think this is a monstrous heresy, but I'd like to draw a comparison. Remember the seminal Audi Quattro 20v back in the Eighties? If you do, then you'll recall something of an automotive legend. With four-wheel drive punch for traction in all weathers, a turbocharged engine capable of 217bhp, space inside for five people and the ability to leap to 60mph in less than seven seconds, it was quite the tool. Weird to think that all those qualities that once made the Audi such a supercar slayer are now available in, of all things, a MINI. A MINI that would crush the Quattro when it came to fuel economy, safety and space. True, that's the inevitable price of progress, but it just demonstrates how far we've come in what is still a relatively short space of time. The car in question is this second generation MINI John Cooper Works Countryman. It's not cheap at around £31,000 but it is an extremely talented all rounder. If you can get your brain around a big, powerful and rather pricey MINI, there's a lot to like here. This time round, the engine has increased in size from 1.6 to 2.0-litres and there's no getting away from the fact that this car is quick. Seriously rapid. It'll smash through 62mph from a standing start in just 6.5 seconds and the ALL4 permanent all-wheel drive distributes power seamlessly between the front and rear axles courtesy of an electromagnetic centre differential. In addition to that, traction is also helped by the fitment of Dynamic Stability Control with Dynamic Traction Control and Electronic Differential Lock Control. In other words, you'll not want for grip, wet or dry. 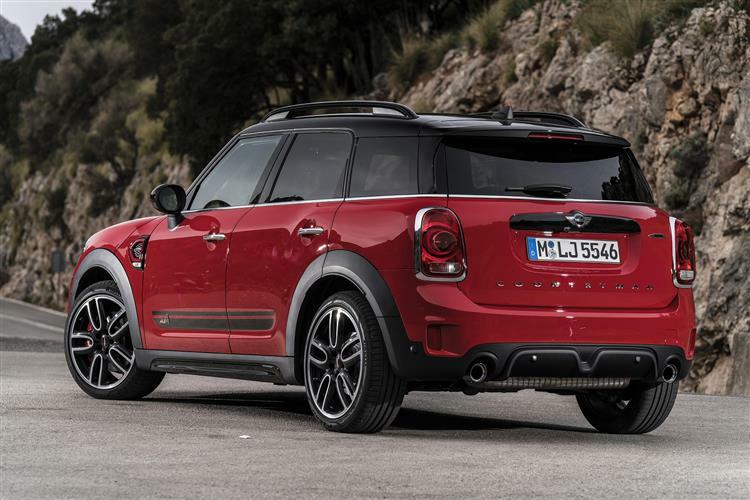 The front end is suspended by fairly conventional MacPherson struts, while the rear features a complex central-arm rear axle adapted specially for the MINI John Cooper Works Countryman. Firmly tuned springs and dampers keep the big body in control, while heftier anti-roll bars and a 10mm drop in ride height respectively help to quell roll and reduce the car's centre of gravity. Power is deployed through a six-speed manual gearbox (or there's a Steptronic paddleshift auto option) and top speed is a reassuring 145mph, while peak torque is rated at a chunky 350Nm (up from 280Nm). Remember that legendary Audi? 220Nm. Wow. Okay, so it's obviously a MINI, with its round headlamps and wheel-at-each-corner stance, but there's clearly a decent amount of wheelbase and, when parked next to a 1960s original, this second gen Countryman model appears a behemoth. Get inside and there's a decent amount of space, the 450-litre boot offering more room than the Clubman estate. It's still a long chalk short of what you'd get in some rivals, but that's the inevitable price of making a style statement. It does style quite well though. 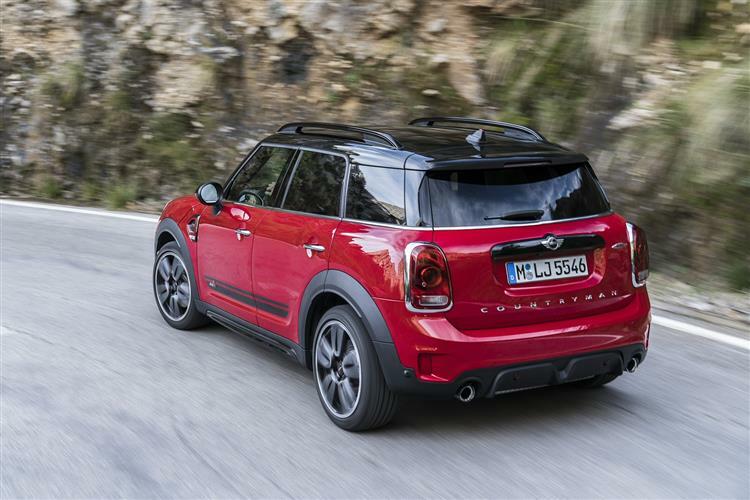 Surprisingly so for those who recall the first examples of these modern Countryman models as frumpy looking things. The JCW version gets an aero body kit, the John Cooper Works logo on the radiator grille and tailgate, front foglamps fitted as standard and a contrast paint finish for the roof and exterior mirror caps. There are standard roof rails and a model-specific roof spoiler. And you may find it hard to resist the optional body stripes in either white, black or red as well. Lightweight 18-inch Grip Spoke light-alloy wheels are fitted as standard, along with a Brembo sports brake system. The John Cooper Works Countryman won't give you much change out of £31,000 - and there's a £1,715 premium to pay if you want the paddleshift auto gearbox. You'll also need to budget for further spend on the endless options list. That kind of money is either a lot for a MINI or not very much for a rapid all-wheel drive sporting car, depending on your viewpoint. We happen to take the latter view and there are plenty of very boring diesel hatchbacks that can approach this sort of sum and not be particularly rewarding to own. As well as the external styling kit and the big wheels, the JCW Countryman includes some quite choice extras indoors too. 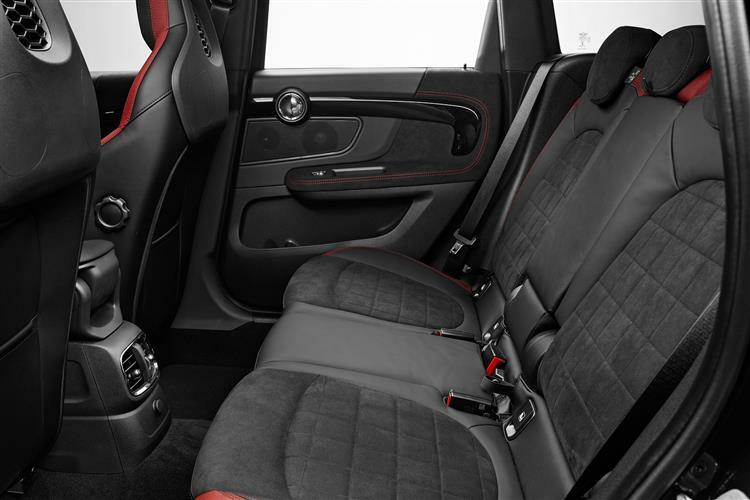 There are five fully fledged John Cooper Works sports seats which have integrated headrests. 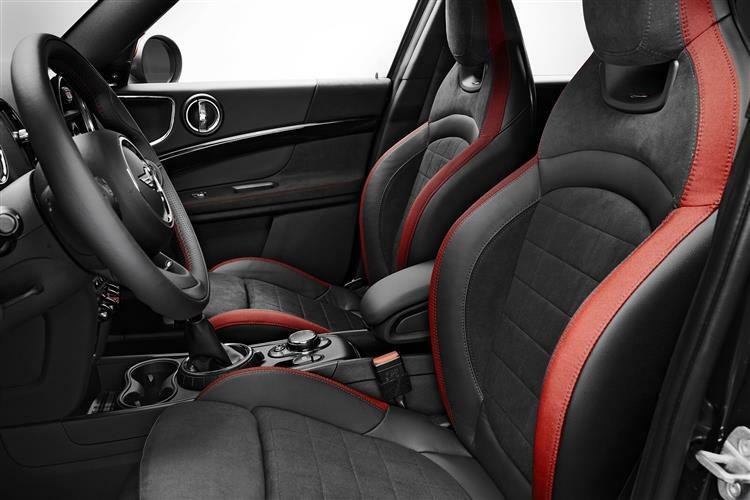 Plus buyers get a John Cooper Works sports steering wheel with multifunction buttons, a John Cooper Works gear selector lever and a roof liner finished in anthracite that gives a racing car feel to the interior. The unique Picnic Bench, a flexible surface that folds out of the luggage compartment and provides seating for two people, is available as an option. Also available as an option is an electric tailgate control that allows touchless opening and closing in conjunction with the standard Comfort Access system. You might remember the original JCW cars as horrendously thirsty things, but the latest generation models use far more fuel efficient engines. The 2.0-litre turbo unit fitted to this Countryman gets almost universal praise and it turns in some very decent fuel economy figures too. For a 231bhp car, the combined fuel consumption of 38.2mpg isn't at all bad (exactly the same as the previous 1.6-litre model). Go for the optional automatic variant and that actually improves to 40.9mpg. Emissions are rated at 169g/km for the manual and 158g/km for the auto. Remember to factor in the cost of any options when calculating the residual figure. Stick to the basic car and you shouldn't be stung with heavy depreciation. 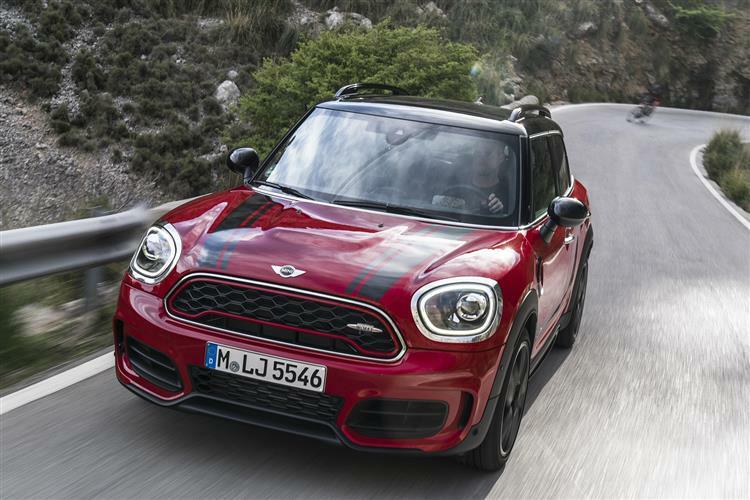 MINI has worked at improving the car's efficiency with a comprehensive raft of measures dubbed MINIMALISM and which include Brake Energy Generation, Auto Start/Stop, Shift Point Display, Electric Power Steering and demand-based ancillaries such as the alternator. I'm still a firm believer that MINIs should be small. The smaller the better. That said, it would be churlish in the extreme not to recognise this second generation John Cooper Works Countryman as one heck of an achievement. Yes, it's a fairly big car without a lot of room for your bags, but that aside it barely puts a foot wrong. Even those grumbling about the price need to look at it in the context of the amount of capability that buys you. Where else for this sort of money are you going to get a 4WD sporting car this fast backed by BMW-style standards of engineering? 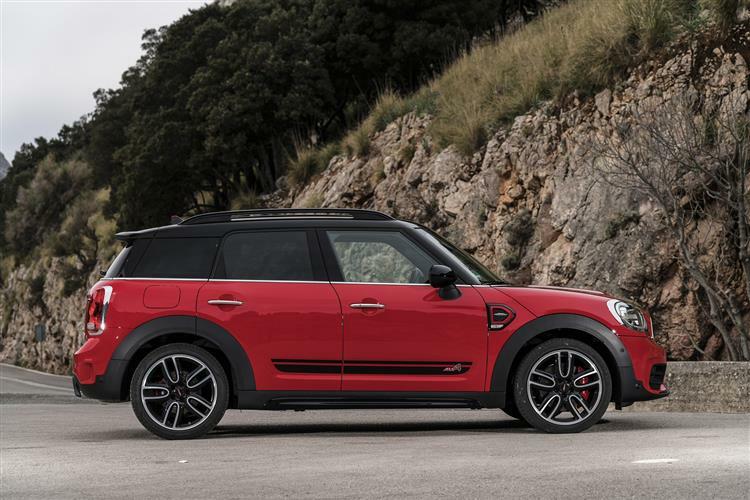 The John Cooper Works Countryman is never going to be the obvious answer to any 'which car?' question. It's just too niche a proposal for that. Even so, I have a sneaking suspicion that this car might suit quite a large number of people very well, assuming that they could be persuaded to consider the thing in the first place. It's fast, nicely built, looks good and won't cost a fortune to run. If those don't sound like the ingredients for a very promising car, then I'm not sure what does.